The cries outside the clubhouse haunt Thorn until he believes he's paranoid. And, he can't ignore the pain-filled screams that only he can hear. 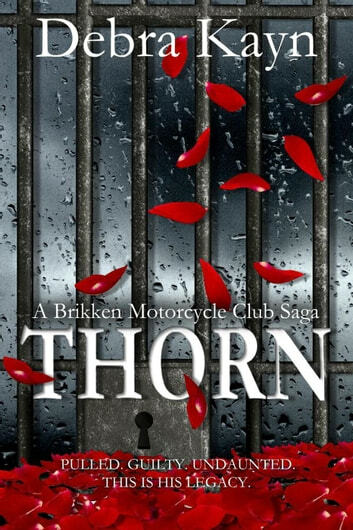 At forty-eight years old, Thorn Stanton takes on the responsibility of delivering the chopped motorcycles to Brikken Motorcycle Club's partner three states away. As the only single member in his family, the criminal activities fall on him if the Feds swoop down. Until he discovers a little girl — who needs him more than Brikken. As the guilt of Thorn's past shapes his future, he knows there's only one choice. Following Rollo's legacy, he's undaunted. He'll do anything to keep those he loves safe. Being a single mother and only twenty-one years old doesn't stop Jessy Reed from making sure her five-year-old daughter has everything she needs to grow up knowing she is loved. The only time she has to recoup her energy and breathe is when Nikki's father has her for the weekend. But, a phone call in the middle of the night from an older biker changes her life and destroys the confidence she has in herself. The last person in the world she thought she'd lean on pushes his way into her life. Thorn's bond with her daughter makes it impossible not to accept his help. But, Thorn goes too far before she can stop him. With her hands tied and no one to confide in, she can only wait. Each day gets harder and more painful. She owes him too much.